KFA’s 20th Anniversary Public Lecture 2017/18 – Maria Myers AC, Art Gallery NSW Sydney. On the occasion of the Kimberley Foundation Australia’s 20th Anniversary and the 10th anniversary of the death of Grahame Walsh, KFA is using its annual public lecture to tell the story of how the relatively unknown historic treasure that is Kimberley rock art has become the focus of major research by Australia’s leading archaeologists and scientists. And behind that story is another story waiting to be told. It is the colourful, serendipitous story of the Foundation’s history. Who were the people involved? How did KFA create a model for funding research where the drivers are both the Aboriginal traditional custodians and the general public all seeking to understand and protect the cultural and historic significance of this Indigenous legacy? 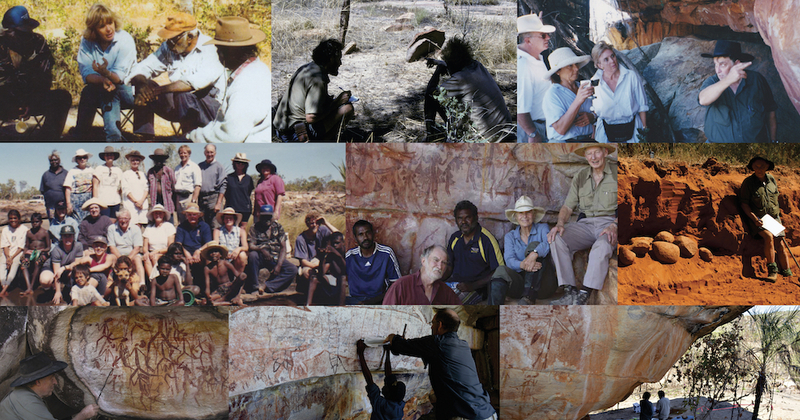 Twenty years on more than 40 KFA-sponsored researchers are in the field working collaborating with Traditional Owners and involving more than a dozen universities and institutions. There is no better person to tell this story than Maria Myers AC. Awarded a Companion of the Order of Australia in 2016 for the advancement of the understanding of Indigenous rock art and for her service to the community through philanthropic leadership, Maria Myers has been Chairman of KFA for eight years. Her story started in 1994 when she met Grahame Walsh. Already a student of Aboriginal culture she was so inspired by his description of the living culture of the Kimberley and the rock art that she went to see it. She was hooked. In 2000 the Myers bought Doongan and Theda Stations in the Kimberley. The following year Maria joined the KFA Board –a Foundation already making historic headway with its founding principles of two-way understanding and two-way learning between traditional aboriginal Kimberley people and non–aboriginal people. 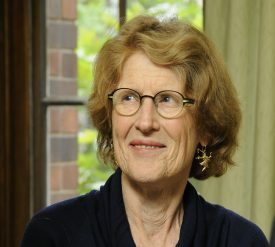 In 2009 Maria was appointed Chairman and in the last decade has placed the Kimberley Foundation Australia at the forefront of scientific research backed by philanthropists, leading trusts and foundations and everyday Australians. If you are captivated by rock art and intrigued by the research findings to date, you won’t want to miss this lecture. Registration essential.